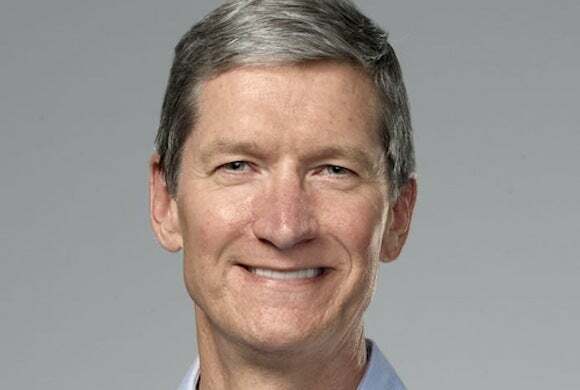 Tim Cook is certainly interested in wearable computing, modernizing the TV experience, and bigger smartphone screens, but if you want him to commit to specific product plans or roadmaps, you're asking the wrong guy. That was the message from Apple's CEO as he took the stage at the D11 Conference in Rancho Palos Verdes, California, on Tuesday night for a Q&A with journalists and hosts Walt Mossberg and Kara Swisher. It was Apple executive's second year in the famous red chair, where company co-founder Steve Jobs was also interviewed several times. Here are a few of the highlights from the interview; a full transcript is available at the D11 website. As expected, Cook didn’t elaborate on any of Apple’s specific plans for new products, but he did share a few interesting tidbits, starting with the fact that new versions of iOS and OS X are likely to make their appearance at the upcoming WWDC conference, which will take place in San Francisco in mid-June. He added that the recent management shuffle has allowed the company to sharpen its focus on the synergy between hardware, software, and services, with design chief Jony Ive taking a key role in the next evolution of the company’s products. On the topic of emerging markets, it’s clear that television is on the company’s collective mind. Although Apple has so far limited its participation in that market to the Apple TV—which, as Mossberg noted, is not all that different from its competitors—Cook said the folks from Cupertino share a “grand vision” for changing what they consider to be an outdated medium. "I wear glasses because I have to. I don’t know a lot of people [who] wear them that don’t have to." Along the same lines, when asked for his opinion of wearable computing, the executive mentioned that it is an area “ripe for exploration,” with “lots of things to solve,” again refusing to say whether Apple is researching any specific products. In what could be perhaps seen as an oblique reference to the rumored “smart watch” that Apple is reportedly working on, Cook called the wrist “interesting,” noting that he owns one of Nike’s Fuelband wrist straps, calling it “a nice job.” Still, he noted that most young people don’t wear a watch, and that any wearable computing product would have to be carefully positioned in order to convince its intended buyers to wear it. According to Cook, Apple’s strategy is to weigh all the possible alternatives and come up with what it thinks represents the best possible compromise. “What our customers want is for us to weigh those and come out with a decision. At this point we’ve felt the retina display that we are shipping is overwhelmingly the best." Noting that Apple’s tax return is “two feet high,” he said that the Cupertino company doesn’t use any tax gimmicks and has no special deal with foreign countries, including Ireland, where its main offshore corporate entity is located. He then added that his ultimate goal is not for the company to pay less tax, but, rather, to receive fair treatment that recognizes the difference between where products are sold and where the subsequent earnings are taxed. The environment is also becoming an increasingly important area of interest for Apple. Cook announced the hiring former EPA administrator Lisa Jackson, who will be tasked with the job of “coordinating a lot of this activity across the company,” stating, however, that this move was not motivated by concerns about possible governmental action against Apple’s environmental practices, but, instead, by a desire to hold itself to a higher standard of environmental friendliness.